[SOURCE: BELLATOR.com] London, UK - Bellator MMA and Sky Sports have today announced a major TV deal that will see the broadcast giant become the home of US and international Bellator MMA events in the UK and Ireland in 2019. In the main event, two giants of British MMA, Michael "Venom" Page, also known to fans as "MVP," and Paul Daley, collide in what is being billed as the biggest bout in UK MMA history. The partnership will also see Sky Sports broadcast Bellator 217: Gallagher vs. Graham live from the 3Arena on Saturday, February 23 at 9 p.m. GMT. UK and Irish fans will witness Ireland's own James Gallagher take on Steven Graham in Gallagher's hometown of Dublin, with a host of international and homegrown talent joining them on the card. The deal will see the US and international events, plus the Dublin card, air exclusively live on Sky Sports Action and Sky Sports Main Event, bringing Bellator's world class roster of athletes and action-packed fight cards to British and Irish households. 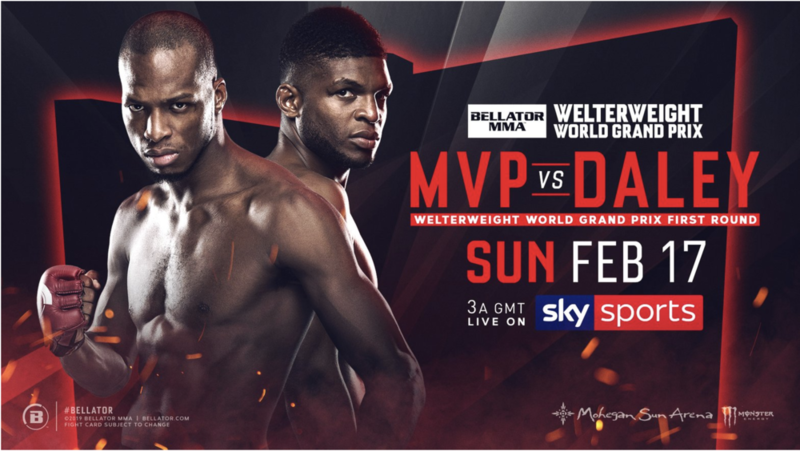 Georgie Faulkner, Head of Multi-Sports at Sky Sports, said: "We are delighted to be able to partner with Bellator to give our customers the chance to see some of the best, high octane fighters in the world via their MMA 2019 tour. " Scott Coker, Bellator President, said: "This is a groundbreaking partnership for MMA in the U.K. and Ireland, and we are thrilled to finally bring LIVE Bellator events to our passionate fanbase there. We have worked diligently to find the right network in the U.K. and Sky Sports will undoubtedly deliver for our viewers. I'm excited that our fans overseas will now be able to be part of our events that take place around the globe and witness some of the best athletes in the sport today." David Green, Head of Bellator Europe, said: "This is a landmark moment and we are extremely excited to be working with Sky Sports to continue introducing the sport, and it's incredibly skilled athletes, to new audiences."